In summary, its 2 hours, 2 a side 2 good 2 miss! ‘a’ denotes an away match. 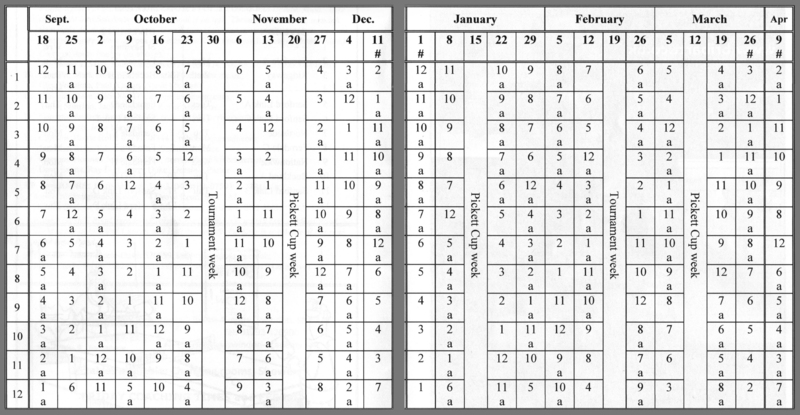 The dates shown along the top of the chart are week commencing dates. Team numbers are shown in the left-most column. Completion date for league matches is 27th April 2018. If you haven’t yet received your copy of the handbook please either see Val or Rosemary and they can provide you with a copy.